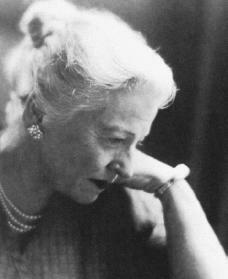 Pearl S. Buck was the first woman to win a Nobel Prize in Literature. Buck's life in China as an American citizen fueled her literary and personal commitment to improve relations between Americans and Asians. Pearl Sydenstricker was born in Hillsboro, West Virginia, on June 26, 1892. Her parents, Absalom and Caroline Sydenstricker, were Presbyterian missionaries, who were on a twelve-year leave from duty from their activities in Chinkiang, China at the time of her birth. The Sydenstrickers had returned to Hillsboro after losing all but two of their children to tropical disease. Despite their experience they returned to China when Pearl was just five months old. Unlike other foreign families, the Sydenstrickers lived in the Chinese village. Pearl spoke Chinese before learning English. Her daily lessons included morning lessons from her mother and afternoon lessons from her Chinese tutor. Pearl recalled never feeling different from the Chinese children. But at age nine the family was forced to flee to Shanghai during the antiforeign Boxer Rebellion of 1900. They returned to China at the end of the rebellion, but Pearl attended boarding school in Shanghai at age fifteen. She moved to the United States two years later and started at the Randolph-Macon Woman's College in Virginia. After receiving a bachelor's degree in 1914, she took a teaching assistantship at the college but almost immediately returned to China to care for her ailing mother. In 1917 she married John Lossing Buck, an American agricultural specialist, with whom she settled in northern China. From 1921 until 1934 they lived chiefly in Nanking, where her husband taught agricultural theory. Buck occasionally taught English literature at several universities in the city, although most of her time was spent caring for her mentally disabled daughter and her infirm parents. In 1925 Buck returned to the United States to pursue graduate studies at Cornell University, where she received a master's degree in English in 1926. Back in Nanking the following year, she barely escaped a revolutionary army attack on the city. Meanwhile, because of her family's financial difficulties, she resolved to begin writing. Buck's first novel, East Wind: West Wind (1930) was a study of the conflict between the old China and the new. This was followed by The Good Earth (1931), an intense novel of Chinese peasant life, which won her a Pulitzer Prize. In 1933 Buck received a second master's degree, this time from Yale University, and in 1934 she took up permanent residence in the United States. In 1935 she divorced John Buck and married Richard J. Walsh, her publisher. Her extensive literary output resulted in a 1938 Nobel Prize in Literature, the first ever awarded to a woman. In the next three decades, while continuing to write many volumes, Buck worked to promote racial tolerance and ease the struggles of disadvantaged Asians, particularly children. In 1941 she founded the East and West Association to promote greater understanding among the world's peoples. In 1949 she established Welcome House, an adoption agency for Asian American children. Her special interest in children resulted in many books for them. A steadfast supporter of multiracial families, in 1964 she organized the Pearl S. Buck Foundation, which supports Asian American children and their mothers living abroad. Although Buck's literary career embraced a variety of types, almost all of her stories are set in China: the extremely popular novel Dragon Seed, its less popular sequel The Promise (1943), and many later novels, including Peony (1948), Letter from Peking (1957), and The New Year (1968). Among her other works are the highly successful The Living Reed (1963), which details the history of a Korean family during the late nineteenth and early twentieth centuries. In the late 1940s Buck also wrote a trilogy under the pen name John Sedges. Buck's play A Desert Incident was produced in New York City in 1959. Her ability as an essayist is represented by American Argument (written with Eslanda Goode Robeson, 1949). Friend to Friend (1958) was an open, honest conversation with Philippine president Carlos P. Rómulo (1899–1985). Buck died of lung cancer in 1973, with more than one hundred written works to her credit. But even more significant, perhaps, were the over three hundred awards she received for her humanitarian efforts on behalf of improved race relations worldwide. Conn, Peter J. Pearl S. Buck: A Cultural Biography. New York: Cambridge University Press, 1996. La Farge, Ann. Pearl Buck. New York: Chelsea House Publishers, 1988. Sherk, Warren. Pearl S. Buck: Good Earth Mother. Philomath, OR: Drift Creek Press, 1992.